National Treasury announced on Wednesday that the Financial Sector Conduct Authority and banks servicing primary dealers had officially launched an electronic trading platform (ETP) for government bonds at the Johannesburg Stock Exchange. This follows the pilot launch of the platform in July. The platform provides world-class transaction services, anonymity both pre-trade and post-trade and more price discovery - allowing traders to see live pricing, according to National Treasury. 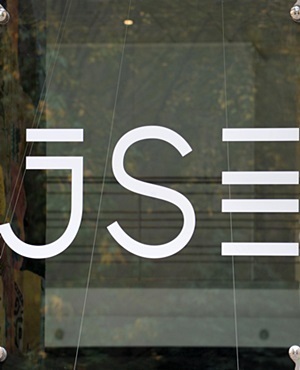 In a statement it said that more than R2trn in government bonds were currently listed on the JSE’s Debt Board and these instruments account for over 90% of all debt market liquidity reported to the JSE. JSE’s director of capital markets Donna Nemer said: “A more sophisticated market infrastructure benefits issuers, investors and further positions South Africa as an attractive investment destination. The launch of the Bond ETP was also an important element of South Africa’s commitment to Capital Markets reform at the G-20 group of nations." Deputy Minister of Finance Mondli Gungubele said in a statement on Wednesday that the platform took years of planning and preparation. “It has been a long seven years from the time when the electronic trading platform was conceptualised. Its launch today is a testament to what can be achieved when government and the private sector work together to achieve a common purpose." Government entities issue bonds and list them on the JSE to raise funds for large infrastructure projects such as roads, power stations and hospitals. Investors lend money to these entities by buying the bonds. Investors buy these bonds in order to earn regular interest payments and receive the money they have lent back after a predetermined period.